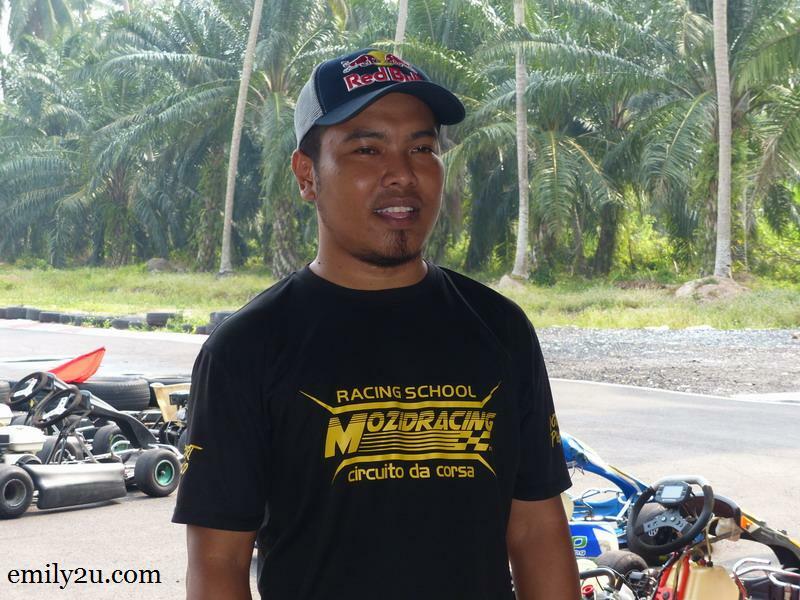 Opened in January 2016, Mozid Racing is owned by Mohd. Yazid bin Jamil. At 36 years old, this young entrepreneur has turned his hobby for speed into a business. With this 500-metre track on 1.6 acres of land, Yazid hopes to be able to nurture new talent in bike racing, beginning with young children. 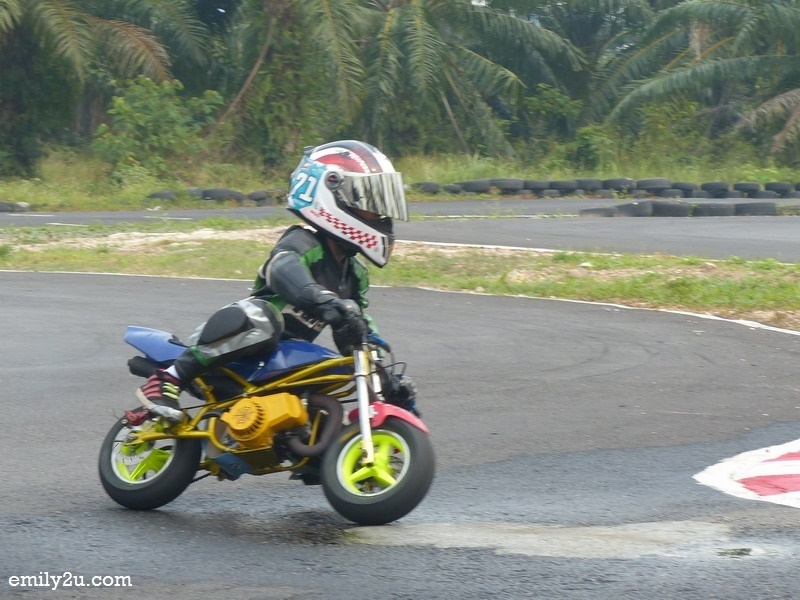 As such, those who would like to practise their riding skills could do so by paying only RM20 for a full day’s use of the track. This is called track rental. Vehicles are not included as that is a separate charge. The core business at Mozid Racing is go-karting. It is an expensive sport and maintenance is high. 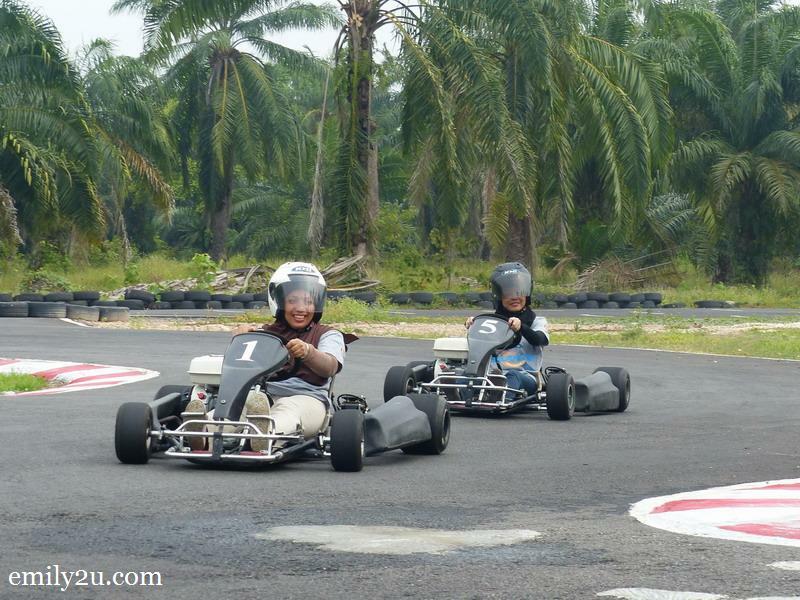 As an example, a secondhand go-kart is priced around RM15,000 while a new set is about RM30,000 depending on horsepower. A set of tyres worth RM1,000 could only last for a week of continuous use. Imagine that! One literally burns money on the track. 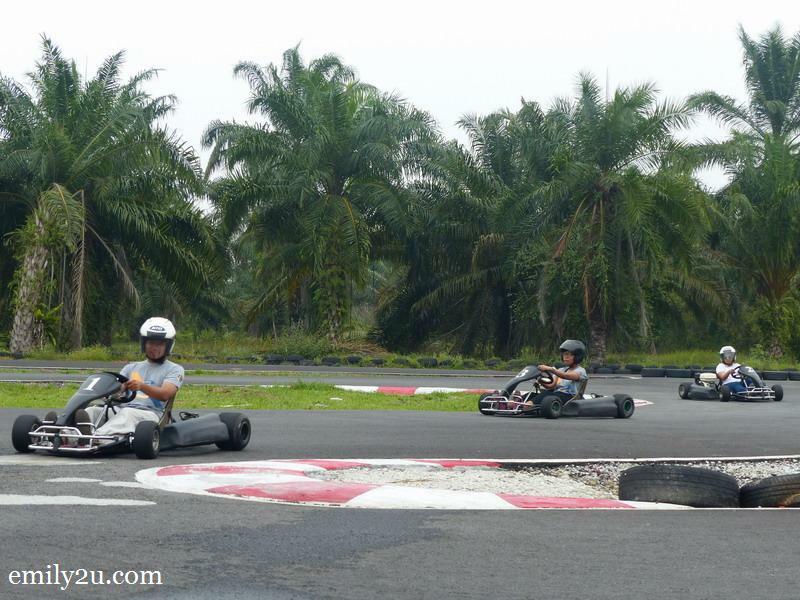 Mozid Racing has six go-karts for fun karting. Price is RM35 per 15 minutes PLUS five extra minutes for free. 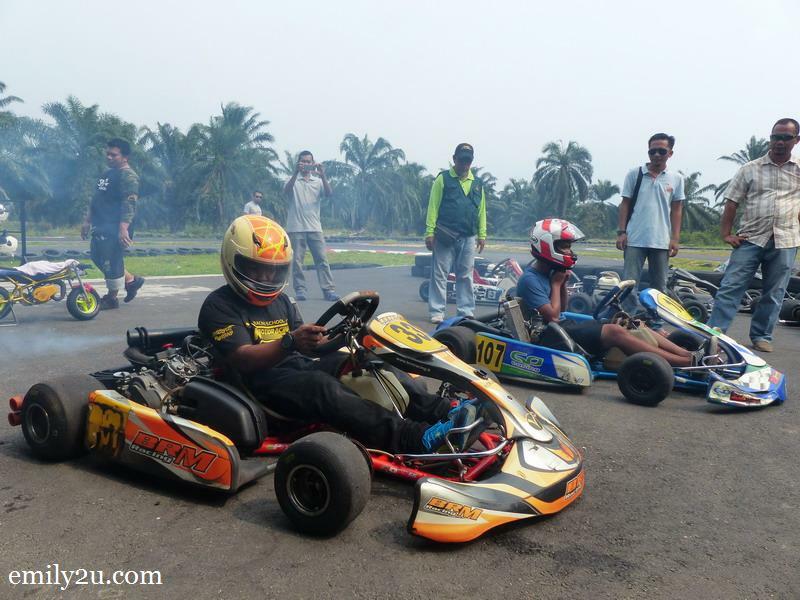 One does not require any driving skills to go karting, although safety briefing is provided prior to going out to the track. Whatever it is, do not panic while at the wheel. Go slow and moderately build up the speed. It is a fun sport, so it is not necessary to drive until one goes out of control. Add: Jalan Sempadan, Sijangkang, 42500 Telok Panglima Garang, Selangor. 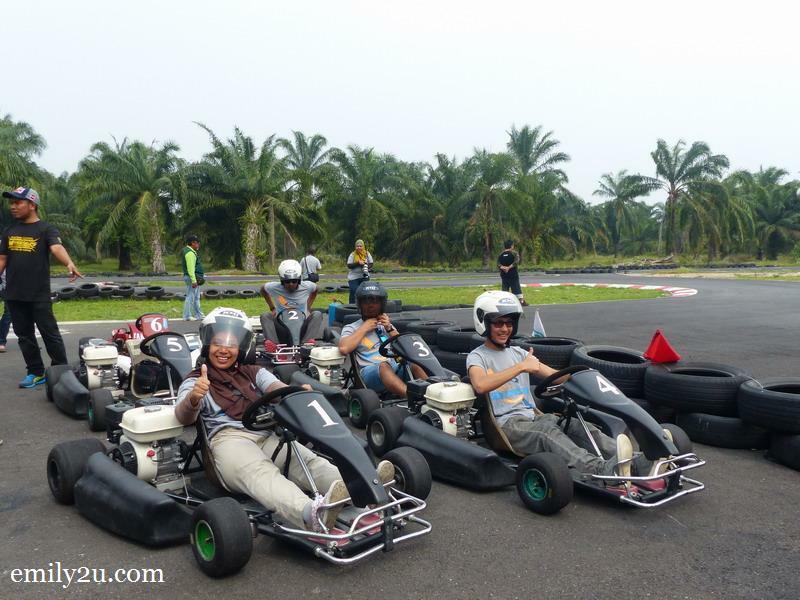 3 Responses for "Mozid Racing (Racing School), Sijangkang, Kuala Langat, Selangor"
so fun I never try go kart. should try some day!! I still have yet to try this sports out..